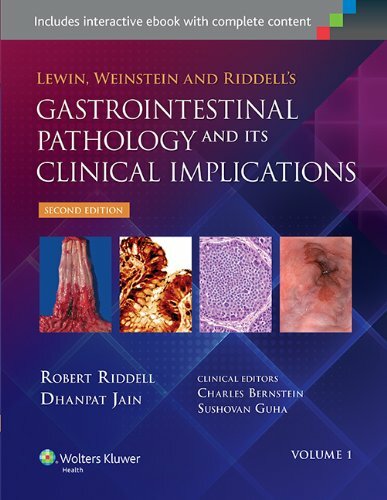 This comprehensive, two-volume resource highlights the practical aspects of the pathology of biopsies and gross specimens, the clinical/pathological correlation, and differential diagnoses, and the ways in which these affect the management of patients with gastrointestinal disorders. The authors provide valuable insights on many important areas of gastrointestinal pathology, and openly address controversies within the specialty. This all-inclusive work stands alone in its illustrative quality and in its emphasis on the clinical implications of patient management as related to pathologic findings. The Second Edition has been completely revised to reflect two decades of advances in the field. The book’s focus on clinical/pathological correlations and differential diagnoses emphasizes their affect on patient management. Major revisions of the chapters on colitis and gastritis feature new approaches to treatment. Over 2100 full-color illustrations highlight pathologic features to sharpen diagnostic skills and guide treatment choices. Completely revised content reflects two decades of advances in the field. Major revisions of the chapters on colitis and gastritis feature new approaches to treatment. Over 2100 full-color illustrations highlight pathologic features to sharpen diagnostic skills and guide treatment choices.